Ocean Finance recently challenged a small number of bloggers to give their bathroom a budget makeover! They want to show how easily a bathroom can be given a fresh new lease of life by changing the accessories or by giving it a lick of paint. 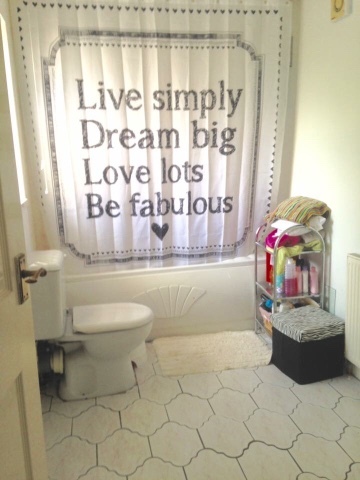 Armed with my £100 budget I set upon my challenge looking for items that would transform my dull colourless bathroom into a tranquil room for relaxation. Here is our bathroom before the challenge. As you can see it is quite plain and simple. 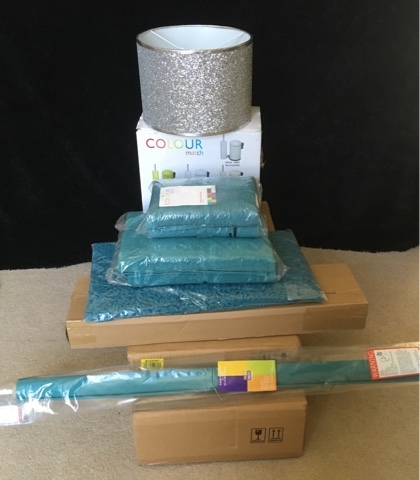 I decided it would be lovely to add a splash of colour so I set out and bought some matching hand and bath towels as well as some matching accessories in the same colour; toilet brush holder, bin, hand soap and toot rush holder set as well as a new blind. We also bought a new light shade as we previously didn’t actually have one in our bathroom. As well as a bath towel rail, hand towel holder, toilet roll holder and a toilet roll storage box. The first thing I wanted to address was the lack of storage in my bathroom. I decided upon an under sink storage unit. This would also be handy in making my sink area look more neat and attractive. 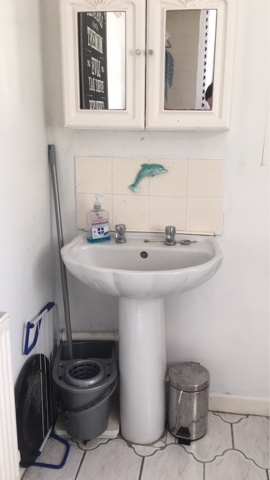 We previously had a wall cupboard above our sink but this was very dated and the colour had faded greatly we decided to take this down and replace it with a more modern mirror. 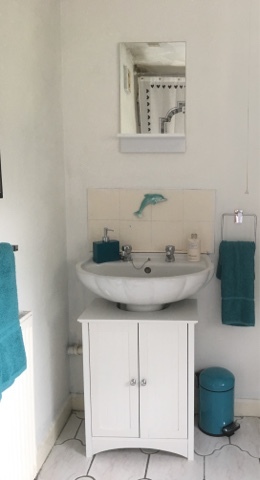 We also brightened up the walls with a fresh lick of white paint and put up a mirror that I had previously bought but never got round to putting up and we will also be replacing the tiles above the sink with plain white tiles. Overall we are both amazed at how much difference you can actually make to a room on s budget. 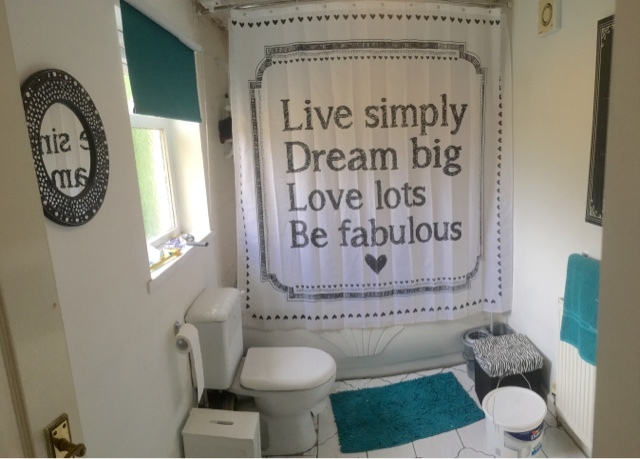 It really looks as though we have spent a lot more money than we actually have and with just a few additions to our bathroom and a splash of colour it really has been transformed. I love how the colour transforms your bathroom. Mine is so white and boring, I really need to add a bit of colour.